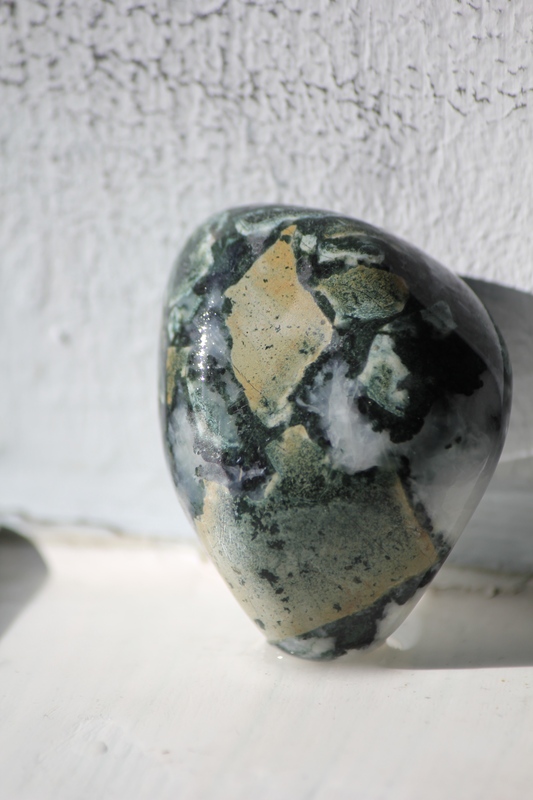 After my first find of Dallasite, I remember taking out my best piece that night and wetting it to reveal its colours. 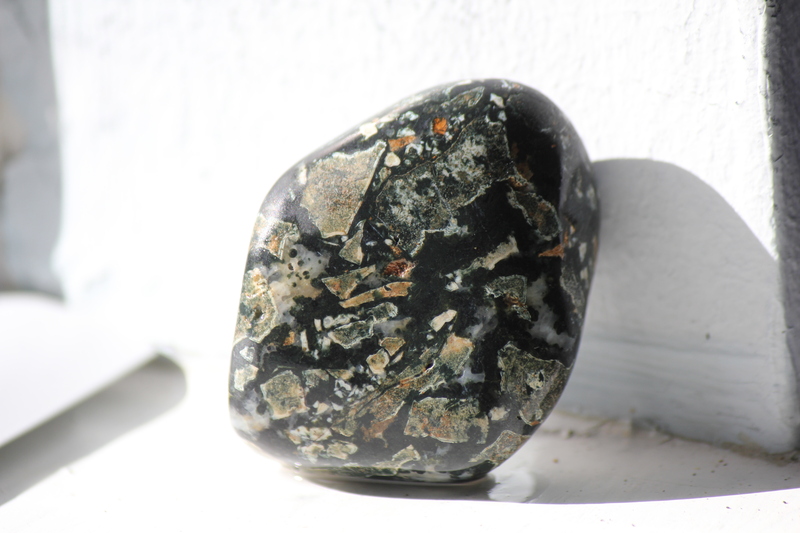 A beach-tumbled piece of dallasite jasper from Vancouver Island. I stared at that rock for a good half an hour, at least. It had the most beautiful triangle shape with a picture of almost some sort of Jenga game, with blocks falling all over and piling up on the bottom, breaking into shards here and there. That Dallasite touched me spiritually. I had an overwhelming sense that everything was going to be okay. Every piece of dallasite speaks to me now, and I feel a special fondness with the rock. It is so artistic and so beautiful. Another rough piece, this one had been through the coarse grind tumbler for a week.